Is Idol a better model for community grants? 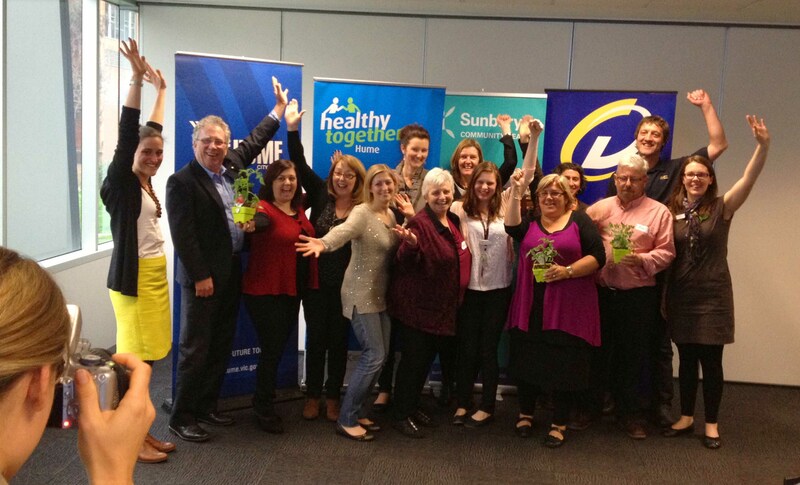 Just got back from having my mind blown – in a good way, with optimism – at the all-day the “pitch session” for Hume City Council’s Healthy Together grants. I sat through 10 remarkable 5-minute pitches from community organisations and individuals, for grants of up to $5,000 for projects to increase healthy eating in Hume. The Hume team had been inspired by something they saw their peers at Wodonga City innovate last year – a radically new way to do community grants. It’s kind of like an Idol contest. Here’s how it works. 1) There is no complex application form. All that is required is a short sketch of an idea. 2) The community applicants are then invited to a full-day Innovation Workshop where they develop their ideas…with fun innovation exercises, project development sessions, and pitch training. It’s a kind of hot-house…where they are immersed in examples of good practice, have fun challenging their own assumptions, and expanding their thinking about who, how, what, and where. Plus a little Changeology, to help them understand that what they are really creating are inspiring and enabling experiences for others. They also learn how to create clear, inspiring, detailed pitches. 3) Applicants are then matched with a mentor, usually a council staff member, to help them clarify their project and create their pitch. 4) The pitch session follows 3 weeks later. Applicants have 5 minutes to pitch their project to an audience consisting of the other applicants plus a selection of outside experts. Then the audience asks questions for 5 minutes. 5) Then (while the pitcher is out of the room), the audience has 10 minutes for round table discussions and assessment. 6) After all 10 pitches are heard, the audience votes, and the ranking determines which projects are fully funded, which are partly funded, and which are sent away to try again next year. Listening to the Hume pitches, I was impressed and delighted by what this process made possible – astonishingly professional, mature and imaginative projects to engage the Hume community in original takes and unexpected mashes on community vegetable beds, street gardens, school kitchens, food banks, refugee services, youth services, disability services, and backyard gardeners. Good idea + one-day hot-house + a little bit of process + some innovation-thinking fairy dust = amazing, fully formed, realistic, community transformation project. What’s the point of the process? It tackles an outstanding flaw in the conventional grant process, that most grant applications are written at 5 minutes to midnight on the day before they’re due, under time pressure and without much deep or creative thought. And, from that point on, both the applicant and the funder are, essentially, stuck with the assumptions and weaknesses in that first draft. The applicants think they have to do exactly what they promised. And the funder thinks they have to hold them to it, irrespective of whether the idea works in practice. Incidentally, it’s an idea that’s spreading. Wodonga City innovated it. Hume City refined it. And Wyndham City is about to implement their own version.